Announcement Please note: I cannot guarantee that orders outside of Australia will arrive before Xmas. 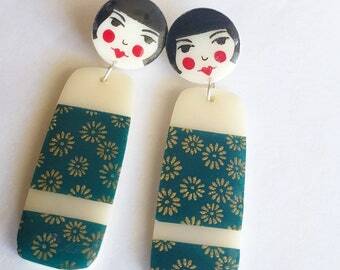 Original designs are laser cut from Tasmanian timber and vibrant coloured acrylics and are then transformed into jewellery pieces - some are hand painted or decorated with beautiful patterned Japanese chiyogami. A lot of my designs are inspired from my love of Japanese culture and art and some of my products include origami cranes, koi fish, bamboo and cherry blossoms and many items are decorated with the paper I have sourced when travelling in Japan. Other designs are inspired from vintage and folk art and various current trends. There is a line in the Aussie song - Waltzing Matilda: "Under the Shade of a Coolibah Tree". I'm an Australian artist creating Japanesey products hence the emergence of my Etsy store name - Under the Shade of a Bonsai Tree.
.:.I'm a proud supporter of Kiva.org. Some of my profits go towards micro-loans for people in poverty stricken countries which enable them to start or expand their businesses.:. ♥ ♥ ♥ I welcome wholesale orders. Send me a convo if interested. Please note: I cannot guarantee that orders outside of Australia will arrive before Xmas. 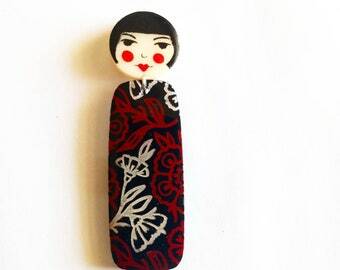 KOKESHI doll brooch in Teal and Gold. Beautiful piece of jewelry with Tasmanian heritage. Shipped extremely fast too!! 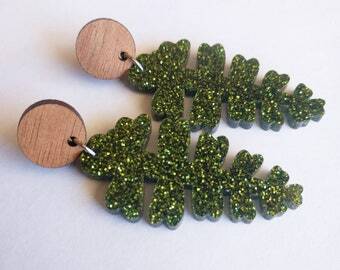 Amazing earrings!! Love the design and makes any outfit look super cute. :) Thanks again. 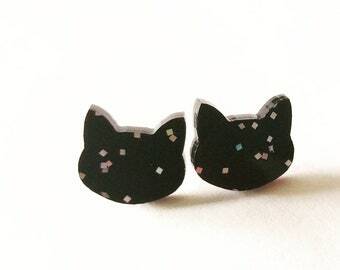 Super quick delivery plus it comes in a nice boxed packaging which keeps the earrings nice and safe during travel. 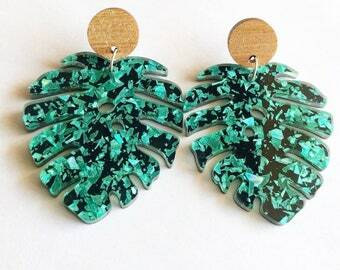 New Earring Collection - shimmering and dazzling fun! Free Origami Crane Brooch with every order this week. No coupon code needed. Featured in many publications locally, nationally and internationally including Frankie, Catalogue and Vogue UK. My name is Jacqueline and I live in beautiful Hobart, Tasmania, Australia. I started my business Under the Shade of a Bonsai Tree in 2008. There is a line in the Aussie song - Waltzing Matilda: "Under the Shade of a Coolibah Tree". I'm an Australian artist creating Japanese inspired products hence the emergence of my Etsy store name - Under the Shade of a Bonsai Tree. My work has been featured in various publications in Tasmania, Australia and internationally including The Mercury, Catalogue Magazine. Frankie and Vogue UK. Under the Shade of a Bonsai Tree has many stockists around Australia and are always seeking more for wholesale. I live in Hobart with my German husband, 3 sons and 2 cats (Austin and Siegfried). We have a lovely home overlooking our beautiful city. Spare time is a bit of a rarity but I do love travelling, yoga, live music, vegan food and art. I also run some social media pages which promote the amazing art and design in Tasmania. My awesome brother Luke also helps out with the biz - at local markets, some designing and photography. Robert Alexander runs a facility for many purposes. One of his equipment is a laser cutter which he uses to primarily cut wood and acrylic. Welcome to Under the Shade of a Bonsai Tree! If you have any problems with any items you receive, please let me know within 7 days of receiving your item. Returns, exchanges or refunds may be appropriate depending on the circumstances. Unless the item is faulty you will be responsible for any extra postage costs. I put a lot of effort into describing my items correctly so please read the item descriptions well. All my items are carefully checked before I send them out into the world! All items ship from Tasmania, Australia. I send items using standard Australia Post airmail. There maybe a postal discount for multiple purchases. The buyer is responsible for any import taxes or duty that may be charged by your country. Items will usually be posted within 3 working days of payment being received. Post to Europe and the U.S (and most other countries) generally takes approx 2 weeks but I am not responsible for any delays once posted on my end. International orders do not come with tracking. If you wish to upgrade postage so that it comes with tracking, please message me to arrange a quote. All items are packaged nicely with extra care and protection. 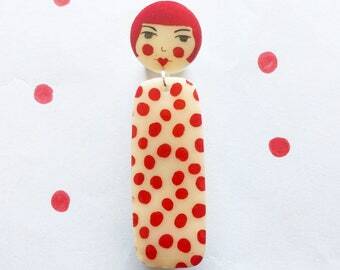 I can customise your order - chain length, chiyogami paper pattern/colour, convert necklace to brooch and vice versa..etc. Send me a convo first to discuss before ordering.